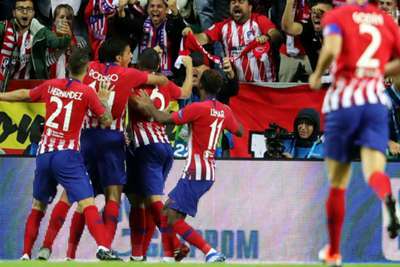 Diego Costa stunned Real Madrid with the fastest goal ever scored in the UEFA Super Cup, giving Atletico Madrid an early lead. The match was just 49 seconds old when Costa struck, leaving new Real Madrid coach Julen Lopetegui looking dumbstruck on the sidelines in Tallinn. Costa was the target of a long ball from the back played by Diego Godin and beat Sergio Ramos in the air to nod the ball on. The Spain striker reacted quicker than his international team-mate and latched on to his flick-on, then nodding the ball beyond Raphael Varane, striding into the right side of the box and rifling an emphatic strike past Keylor Navas from a seemingly impossible angle.